Great home -quality construction! Pella windows, open floor plan. 9' vaulted ceilings, hardwood floors, bright & sunny home! 16 X 12 covered patio. RV shop 30 X 50 16' high walls, RV ready! !Two horses allowed. 4' cement crawl space. House is positioned fo the best views from every window! 9' garage doors on attached oversized 3 car garage. DO NOT FOLLOW GOOGLE MAPS! From i-25 & hwy 60 ( Johnstown exit), East to cty Rd. 19, South to Cty Rd. 44, 1/4 mile east to Meadow Farm Rd. 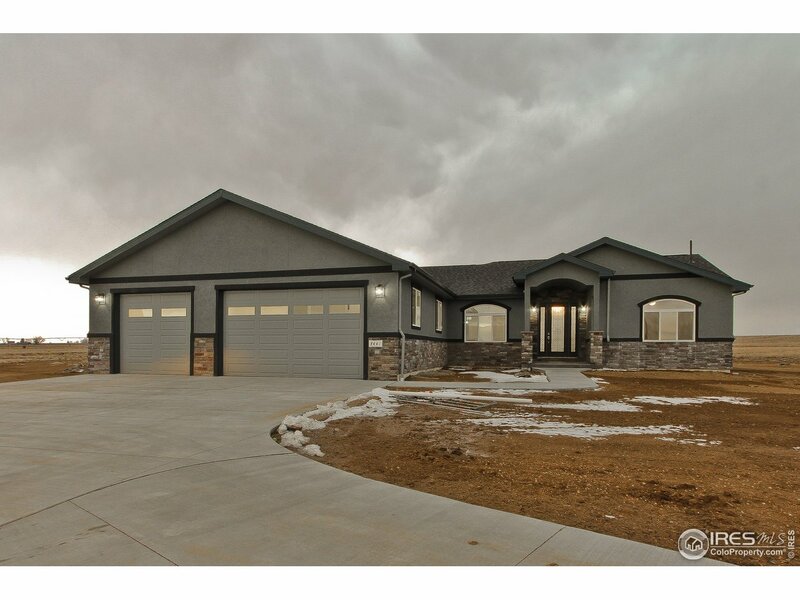 I would like more information regarding the property at 9441 Meadow Farms Dr, Milliken CO 80543 - (MLS #874360). Property Listed By Windemere Realty Inc.